Meet your driver at the exit of the pier in Marseille cruise terminal. 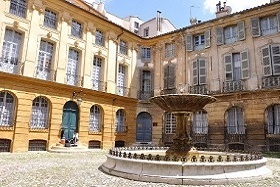 Walk along the Cours Mirabeau lined with 17th and 18th century private mansions, where large plane trees provide shade on hot summer days. The old town is packed with shops, architectural and religious sites, bustling squares and refreshing fountains. Meet your driver at the exit of the ship in Marseille cruise terminal. 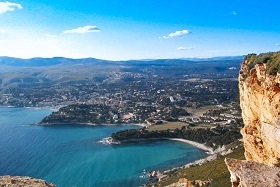 The Gineste and the Crests roads will lead you to the outstanding site of Cape Canaille from where you will appreciate the exceptional view on the bay of Cassis. 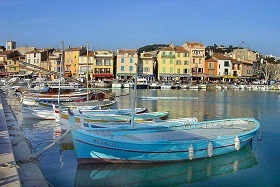 Cassis is a very ancient fishing port and the harbour is probably the most beautiful part of the village. You will have the possibility to board on a 45-minute boat trip (ticket not included) to discover 3 Calanques, steep-walled coves sheltering tiny harbours or beaches. 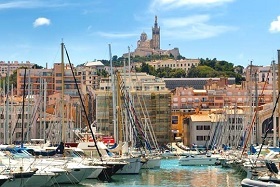 Panoramic tour of the city of Marseille on the way back, including a photo stop at Notre-Dame de la Garde Basilica. 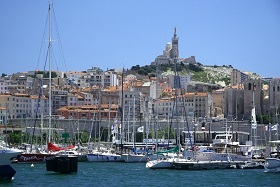 From this hill, enjoy a breathtaking view on the Phocean city, the Frioul islands and If Castle. 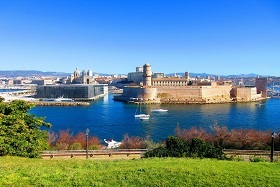 Drive on the Corniche Road and reach Saint-Victor Abbey (11th century) that guards the entry of the Vieux-Port (Old Port). 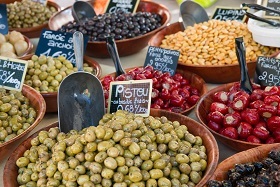 Drive to Aix en Provence : discover the Cours Mirabeau lined with 17th and 18th century private mansions, where large plane trees give shade on hot summer days. 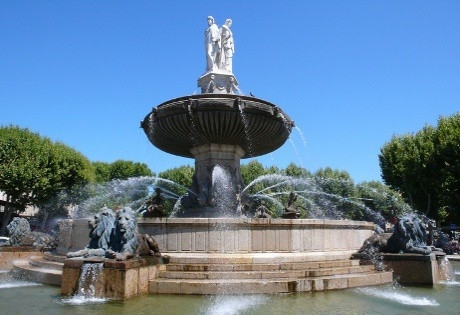 Visit Place d’Albertas and see the fountain whose basin was made by local students. 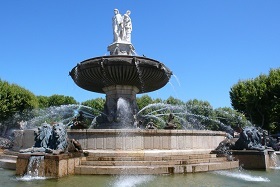 See the Four Dolphins Fountain and the Cathedral Saint Sauveur. From this hill, enjoy a breathtaking view on the Phocaean city, the Frioul islands and If Castle.